The BRODIX BB-3 XTRA has taken the conventional big block to the next level. 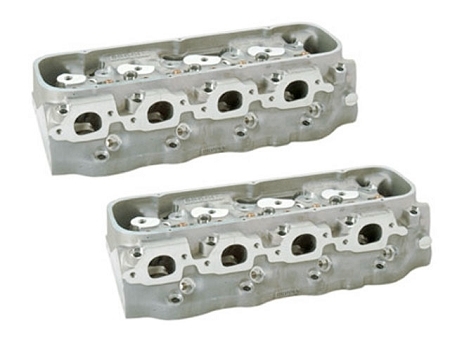 These cylinder heads feature a valve angle that is rolled two degrees. The -3 XTRA is available in a rectangular-shaped or oval-shaped intake port configuration. The rectangular port is offered in an out-of-the box version or completely CNC ported. The out-of-the-box version comes standard with CNC ported 119 cc combustion chambers, CNC bowls blended and ports matched, and flow over 390 cfm. 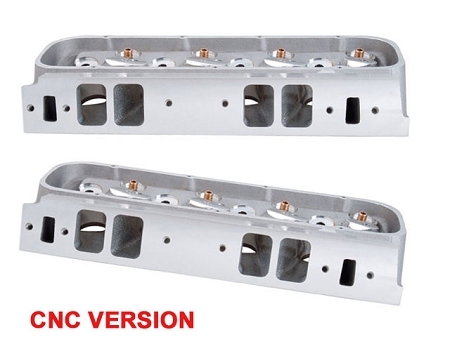 The BB-3 XTRA CNC ported version is available in two port volumes, 366 cc and 380 cc. The 380 cc version flows over 440 cfm. The BB-3 XTRA CNC ported oval ports are available in three port volumes: 332 cc, 351 cc, and 365 cc. This wide range of port volumes allows the oval port to compliment virtually any engine combination available. Port shape, port velocity, and the latest technology have propelled these cylinder heads to the top of their class. Strongest Castings in The Business!